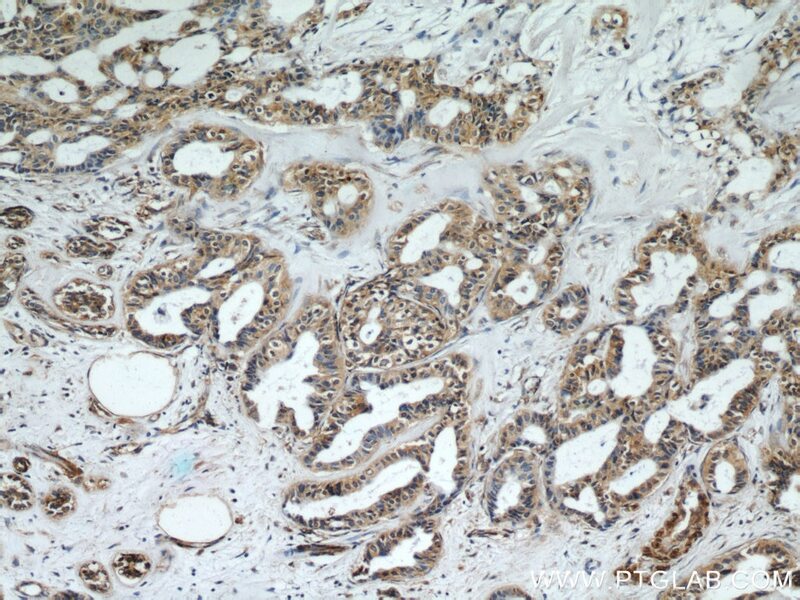 IP Result of anti-CEP97 (IP:22050-1-AP, 4ug; Detection:22050-1-AP 1:1000) with HeLa cells lysate 1200ug. 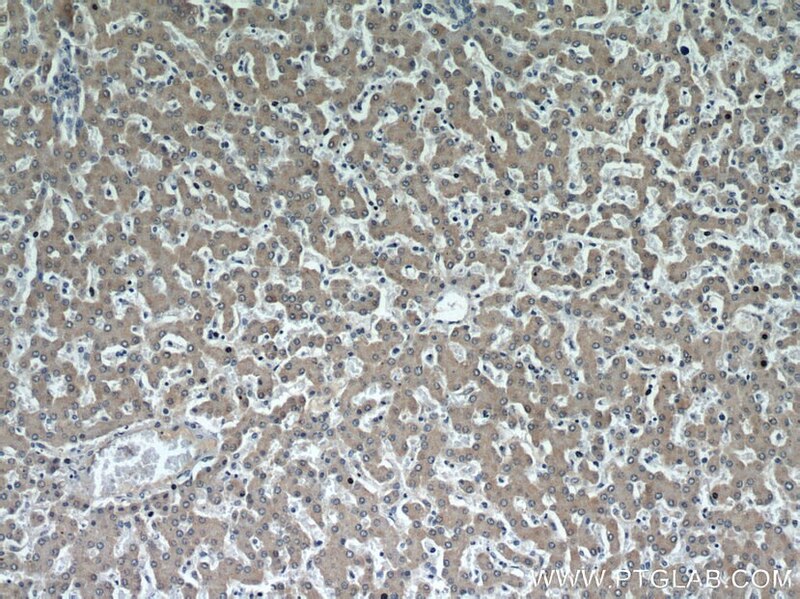 CEP97, also named as LRRIQ2, contains one IQ domain, eight LRR (leucine-rich) repeats and one LRRCT domain. 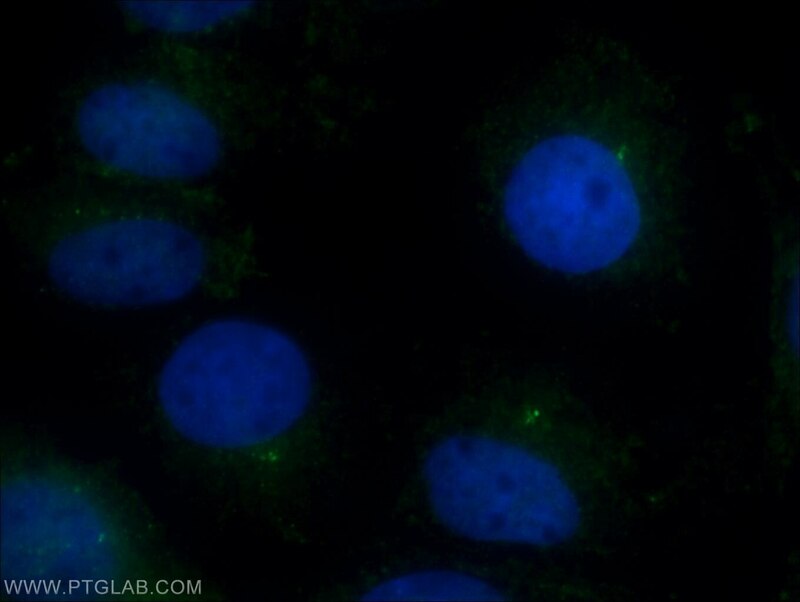 It collaborates with CEP110, being involved in the suppression of a cilia assembly program. 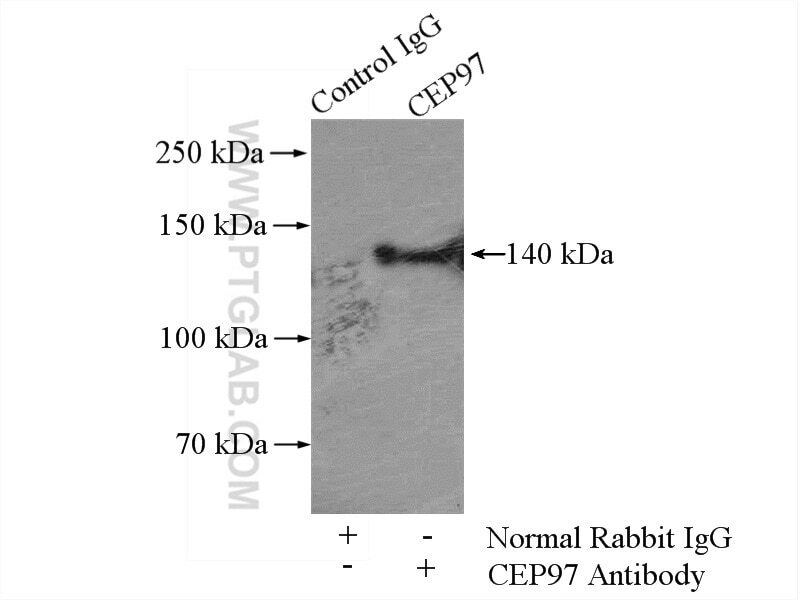 CEP97 is required for correct spindle formation and has a role in cytokinesis. It is required for recruitment of CEP110 to the centrosome. 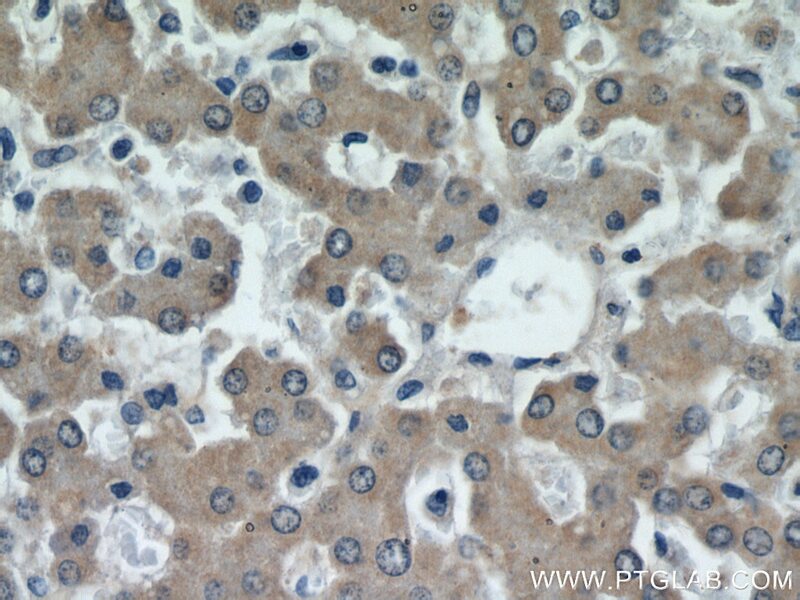 This protein has a calculated MW ~97 kDa, although the protein migrates at a molecular weight of approximate 140 kDa. The protein is highly acidic, with a pI ~4.7, providing a potential explanation for its reduced mobility in SDS-PAGE. [PMID: 17719545]. 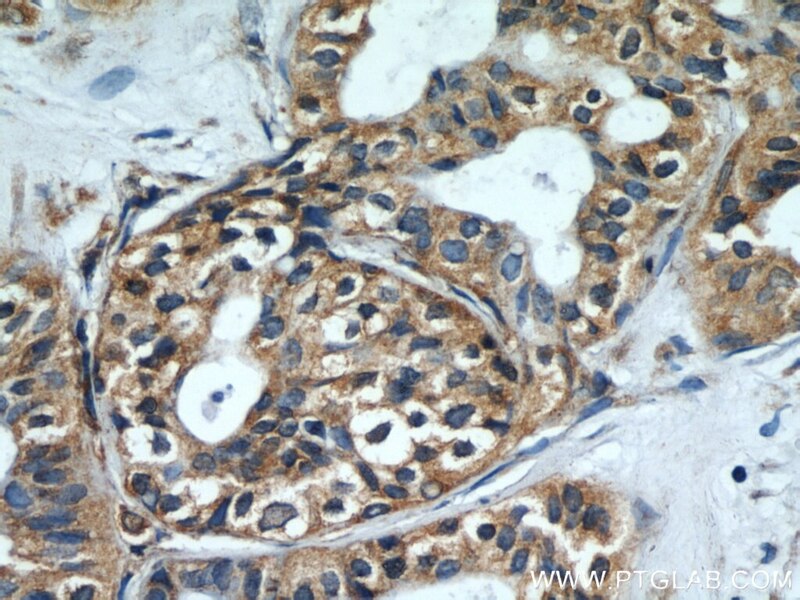 This is a rabbit polyclonal antibody raised against the C terminus of human CEP97. Centrin2 regulates CP110 removal in primary cilium formation. Truncated SALL1 Impedes Primary Cilia Function in Townes-Brocks Syndrome. Neddylation inhibitor MLN4924 suppresses cilia formation by modulating AKT1.